That Dog! 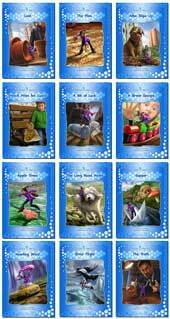 includes 12 stories that feature a character named Ben who has a scruffy stray dog follow him home. These decodable books take students from CVC and CVCC word level text to adjacent consonants, consonant digraphs and suffixes. That Dog! 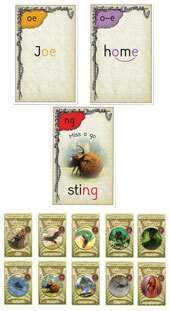 shares the same phonic progression as the Magic Belt Series. Designed for older students, these books can be used to either teach or reinforce new and already learned decoding skills. 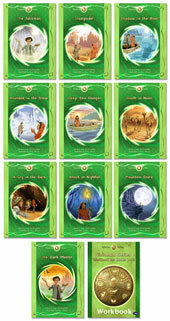 All seven progressive phonics series feature action-packed stories divided into books with about 300 words each, with the conclusion of the story in each set's final book. Titans Gauntlets is a set of ten imaginative stories with fantastic illustrations. It introduces further alternative vowel and consonant spellings and common Latin suffixes. 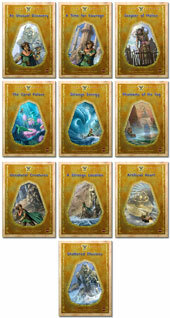 The Talisman 2 Series continues the fantasy/adventure stories of the Talisman 1 Series, and overlaps the alternative vowel and consonant spellings and Latin suffixes of Titan's Gauntlets, including additional variant spellings. 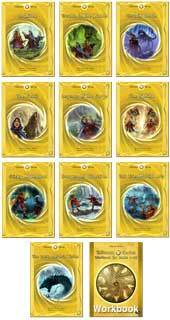 Talisman Cards are a collection of ten decks of beautifully illustrated cards students can use to play a fast-paced game that gives them plenty of phonic skills practice. 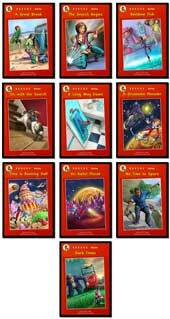 Students age 8-14 will have fun reading up to eight exciting 10 or 12 book series featuring one continuous story in each series, while practicing reading new sound-spellings with every book!